Are you having trouble viewing the whole lesson on a Mac? Please use the Chrome or Firefox Browser. If you continue to have issues continue reading below. If you are using a Mac with your online lessons, you may have an issue getting the entire screen to display unless you change your display settings to a smaller size. 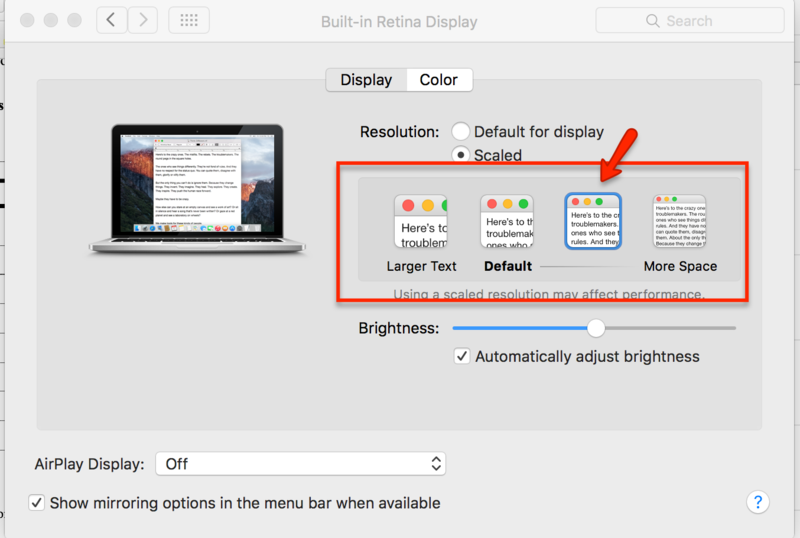 To change your settings, click on the APPLE icon in the upper left of your desktop and then select Display Settings. The screenshot below will guide you.